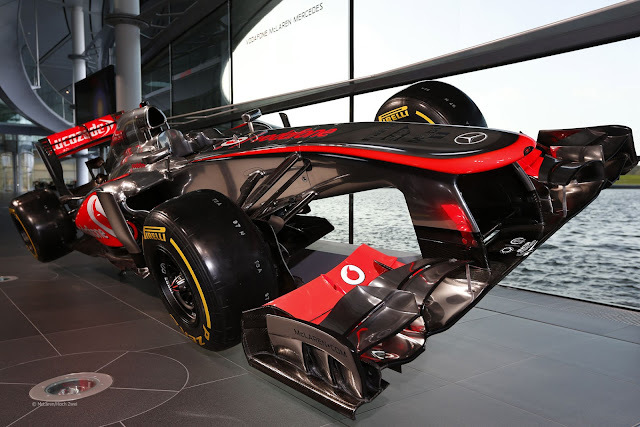 Mclaren raises its nose and the level of the show at the launch for the 2013 F1 contender. 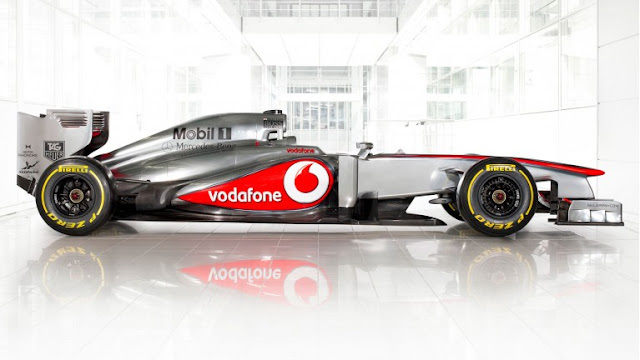 Isn't it nice to see a bit of flash after all the years of pseudo poverty launches? Rolling is the M8D followed by all the other Woking classics was a fantastic way to celebrate 50 years of the team. Presentation wings and bits are, of course, just there for show. The biggest news is Mclaren will the first team to follow Ferrari's move to a pull rod front suspension. It's a tradeoff, slightly higher CG and setup complication vs much cleaner airflow under the nose. It will be interesting to see how Mclaren get on with it after watching the red team with it for a year.